Easy to use, professional audio recording and editing software for Microsoft Windows. Recording: Audacity can record live audio through a microphone or mixer, or digitize recordings from cassette tapes, records, or minidiscs. Audacity can also capture streaming audio – record from microphone, line-input, USB/Firewire devices and more. Editing: Easy editing with Cut, Copy, Paste and Delete. Unlimited sequential Undo (and Redo) to go back any number of steps. Edit and mix large numbers of tracks. Multiple clips are allowed per track. Label tracks with selectable Sync-Lock Tracks feature for keeping tracks and labels synchronized. Draw Tool to alter individual sample points. Envelope Tool to fade the volume up or down smoothly. Automatic Crash Recovery in the event of abnormal program termination. Effects: Change the pitch without altering the tempo (or vice-versa). Remove static, hiss, hum, or other constant background noises. Alter frequencies with Equalization, Bass Boost, High/Low Pass and Notch Filter effects. Adjust volume with Compressor, Amplify, Normalize and Fade In/Out effects. Remove Vocals from suitable stereo tracks. Create voice-overs for podcasts or DJ sets using Auto Duck effect. Other built-in effects include: Echo, Phaser, Wahwah, Reverse & Truncate Silence. 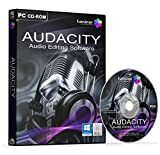 This entry was posted in Software and tagged Audacity, Audio, Editing, Music, Professional, Recording, Software, Sound, Studio by Computer Education World. Bookmark the permalink.